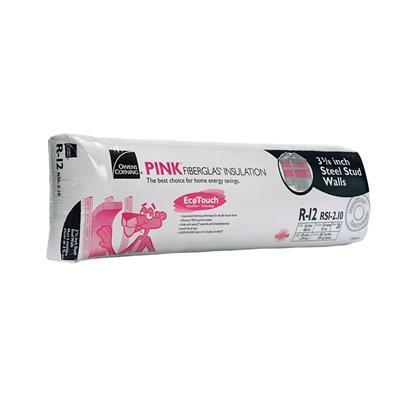 Insulate your basement and crawlspace walls with Owens Corning's EcoTouch® PINK® FIBERGLAS® batts–Canada's No. 1 insulation. Remember, the greater the R-Value, the greater the insulating power. And not only will you save money, but you will help reduce the greenhouse gas emissions of your home. Insulate your basement and crawlspace walls with Owens Corning's EcoTouch® PINK® FIBERGLAS® batts–Canada's No. 1 insulation. Remember, the greater the R-Value, the greater the insulating power. And not only will you save money, but you will help reduce the greenhouse gas emissions of your home. Enjoy the comfort and savings of EcoTouch® PINK® FIBERGLAS® Insulation in your home, while helping save the planet! EcoTouch® PINK® FIBERGLAS® Insulation contains over 73% recycled content,* making us the industry leader in the employment of recycled materials. Even our packaging is recyclable! Plus, EcoTouch® PINK® FIBERGLAS® Insulation is GREENGUARD Certified to meet stringent indoor air quality standards. EcoTouch® PINK® FIBERGLAS® Insulation friction fit batts are easy to install and available in a full range of R-values, R-12 through R-40, offering you outstanding thermal and noise control solutions for every project in your home.